Posted on 6th February 2019 at 11:19 am. The first half term of the year is fast approaching and if you’re heading down to Cornwall for a break away from it all, here are some great activities, events and ideas to keep you busy as a bee and make the most of your holiday. Take a ride on the spectacular steam trains this half term with Bodmin and Wenford Railway. Not only will you get to learn all about the railway’s history and operations, there are plenty of activities for the kids including: colouring and dress-up and… the best news… Throughout half term kids travel for just a quid! If you’ve ever fancied visiting far-flung continents and trying your hand at new and exotic challenges then the Eden Project is a MUST this half term. 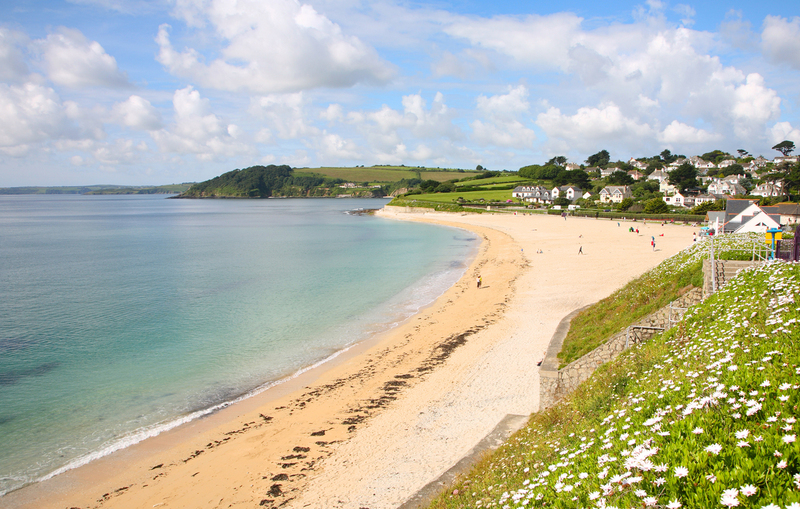 Pick up your passport and collect stamps from all four corners of the globe – and all in one day out in Cornwall! Explore an Arctic winterscape, where you’ll come face to face with a magnificent polar bear. Go tropical with a journey through the clouds on the wobbly Rainforest Bridge. Plus music, crafts and fantastical story-telling and, the ever popular ice-skating is remaining until February 24th. There is also the Plan Bee exhibition which brings together a wide range of collaborators all connected by their passion to save our pollinators… Beecasue (see what we did there!) without these wonderful creatures’ humans would cease to exist. Head here for all things nautical this half term where the whole family are sure to love learning all about our Cornish maritime. The NMMC as always has a whole host of things happening throughout half term, from wonderful exhibitions including the most famous of all maritime disasters. Titanic Stories includes rare and never seen before objects from the ship to learning everything scientific about the oceans with Science of the Sea. Everybody loves a day at the beach and your options for a fun half term are endless. Kids will love gathering shells (be sure to bring a small bag to keep them in) exploring caves, building sandcastles and splashing about in the water, even if it is the middle of February and freezing… but hey! That’s what wellies are for. For the bigger kids (and dads) grab yourself a cheap bodyboard or foamy surfboard (many beaches do offer cheap daily hire) and try and hit the waves like a pro or bag yourself a surf lesson. Located just a short drive from our Tresooth Holiday Barns you will find this spectacular and historic castle. 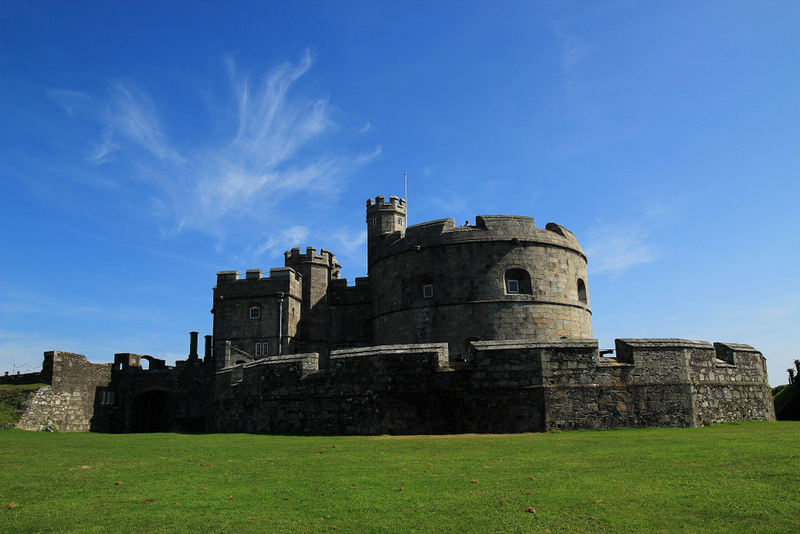 Explore one of Henry VIII’s finest coastal fortresses, Pendennis Castle, which has defended Cornwall against foreign invasion since Tudor times. Discover how the castle has evolved, and experience the sights and sounds of battle. This half term step back in time to the Second World War and join the castle’s Drill Sergeant to be put through your paces in the castle obstacle course. Crawl through tunnels, walk the plank and see if you have what it takes to defend a castle in this lively activity the whole family can compete in. Before taking your family on a castle adventure to celebrate the release of the new film which was partly filmed in Cornwall The Kid Who Would Be King. Join Merlin, Alex and his band of knights on an epic quest to save England from an evil medieval menace by tracking down questions across the castle – and answering them to claim your royal reward. There are activities galore at Cornwall’s National Trust estates this half term. 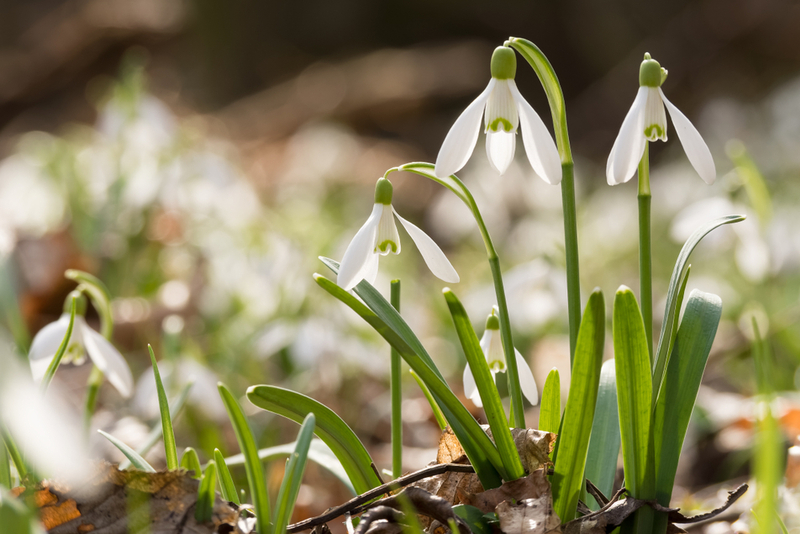 Trelissick (near Truro) comes alive with snowdrops and the signs of spring are starting to pop up for you to spot with a Children’s garden trail and be inspired by colour at Glendurgan Gardens (near Mawnan Smith) with their get creative trail. There is also the fantastic Lanhydrock (near Bodmin) where you can wrap up warm and explore the grounds to an ancestral home and take advantage of their cycle hire. 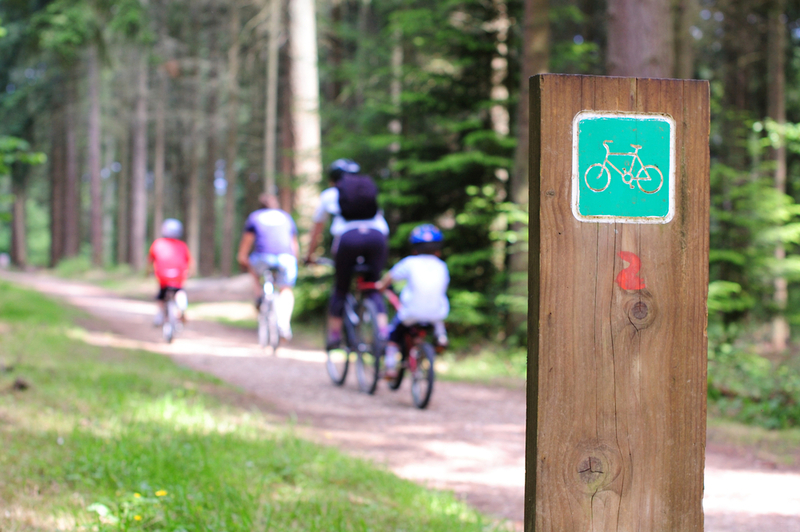 The three graded trails mean there is something for everyone, from beginners and families to riders looking for a challenge. 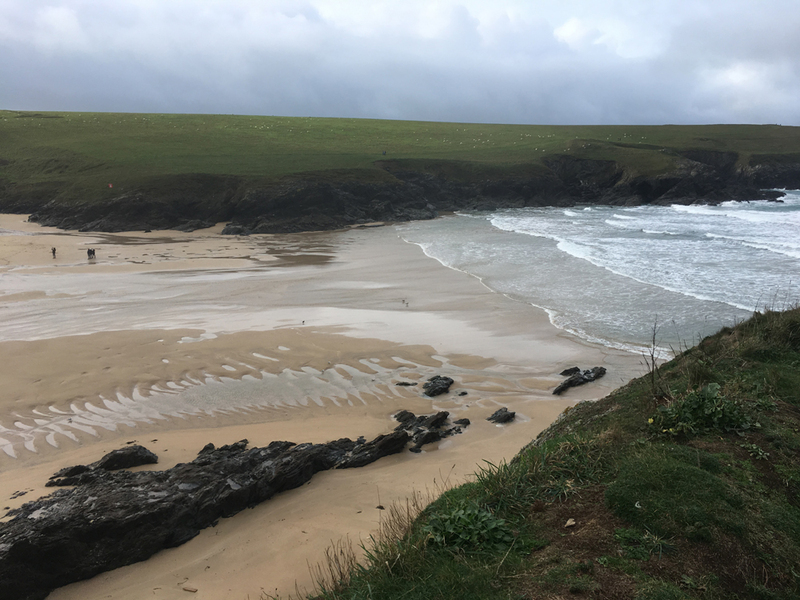 Cornwall’s fantastic coastline has so many stories to tell, although we agree that kids + walking sounds like hell, we know that they will love a walk along the cliff tops if there is something exciting for them to see. Our favourite walk at the minute is not far from our Carnebo Barns at Polly Joke. Drive and Park at Crantock Beach (which offers free parking to National Trust members) or there are a few more car parks up just past the village. Head down to Polly Joke, head across the bridge and bear right, either down across the beach, perfect for collecting shells or head up to the coastal path. If you follow the path you will come across nature at its absolute best with a colony of seals lazing the day away. 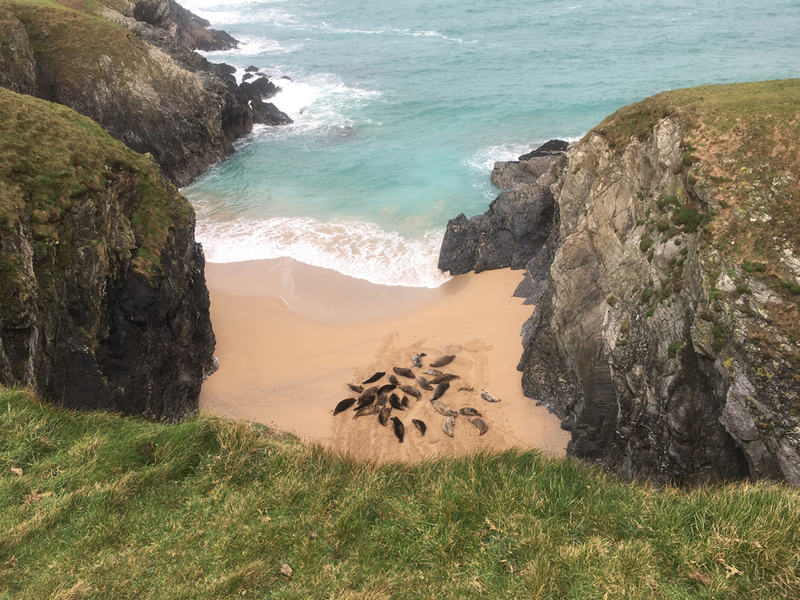 It really is a beautiful sight to see, along with all of the other wildlife you will see and the kids will love seeing the seals. Just be sure to keep to the path and not to go too close to the cliffs edge. So, there are some of our ideas. Whatever you decide to do in Cornwall this half term, we hope that it is packed with family fun making this a holiday you will never forget.